A traditional song, recorded by The Dubliners and Ruby Murry. Also recorded by Irish country singer Farmer Dan. This song was sang in the film The Quiet Man by John Ford which stared John Wayne and Maureen O'Hara. The sheet music and tin whistle notes are included. So I will unless I marry for the humor is on me now. Saying 'I'm sorry that I married for the humor is OFF me now. 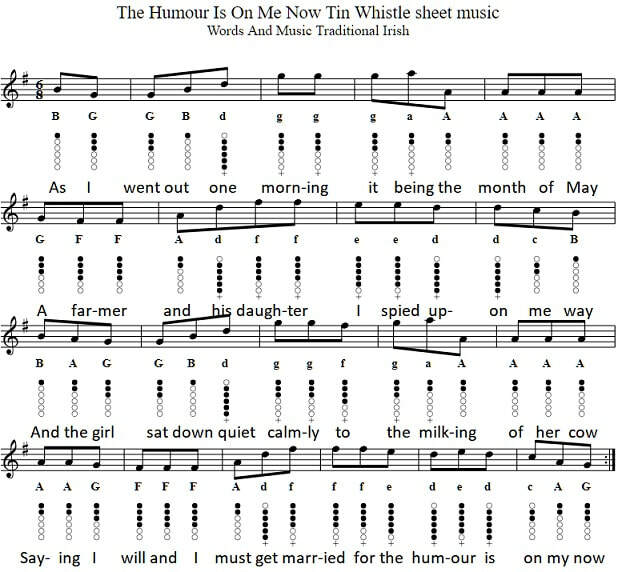 The Humor Is On Me Now tin whistle sheet music is in the key of G Major.